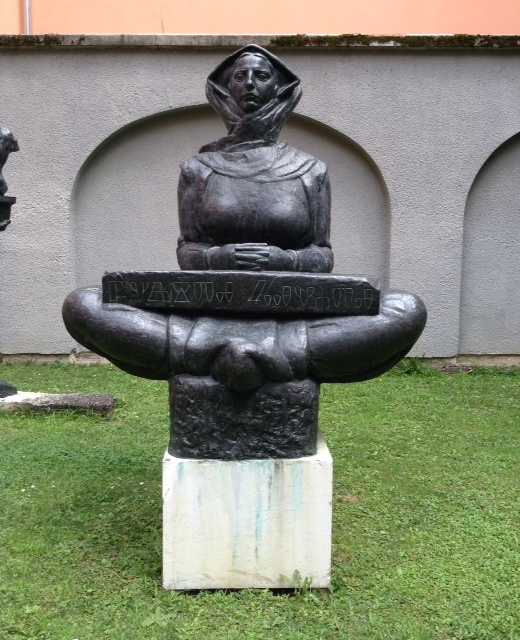 Ivan Meštrović (1883-1962) is a croatian sculptor whose transnational journeys exemplify in a heroic but tragic way the complexities of the region. By many, he is considered to be one of the greatest sculptors of the twentieth century, and his beginnings are reminiscent of Michelangelo. He leaned to carve from a stone-cutter in Split. Friends found him a patron and he moved to the city (Vienna, Academy of Fine Arts, 1901-1906). By 1908 he was in Paris, working alongside the most famous sculptor of the day (Auguste Rodin). He returned to the Balkans, settling in Belgrade in 1911. The same year, he was awarded the gold medal at the International Exhibition (Gustav Klimt getting the gold for painting). Critics were now describing him as the ‘greatest sculptor since the Renaissance’. But he continued to move. From Belgrade he decamped to Rome (1911-13) then settled in Zagreb (1922-41), for twenty years teaching, carving, casting and writing. As well as working as a sculptor, he was also an architect and a professor. He was the Director of the Art Institute in Zagreb, Rector of the Academy, a Member of the Academy of Sciences and Arts in Belgrade and in France an Officier de la Légion d’Honneur. Meanwhile, monumental exhibitions were being held all the over world. Then came the Second World War. In 1941, he was arrested by the Ustaše and imprisoned. His wife died, her family were gassed and with the help of the Vatican he escaped to Venice. From Italy, he moved to Switzerland and reached the United States in 1946. He settled in Syracuse and became a Professor of the Sculpture at the University. In 1947, the Metropolitan Museum in New York held the first ever single exhibition for a living artist; in 1953 he was honoured by the American Academy of Arts and Letters. The following year, in 1954, he became an american citizen, President Eisenhower conducting the ceremony at the White House in Washington. Meštrović was a prominent anti-communist and remained active in Croatian exile circles. He died in Indiana in 1962 and is buried in the family mausoleum in Otavia. So, born in Slavonia; raised in Dalmatia; trained in Austria; worked for the Kingdom of Serbia, Croatia and Slovenia; committed to Yugoslavia; exiled in America; buried in Croatia.